These tips are great and will save you so much money if you’re planning a party anytime soon! 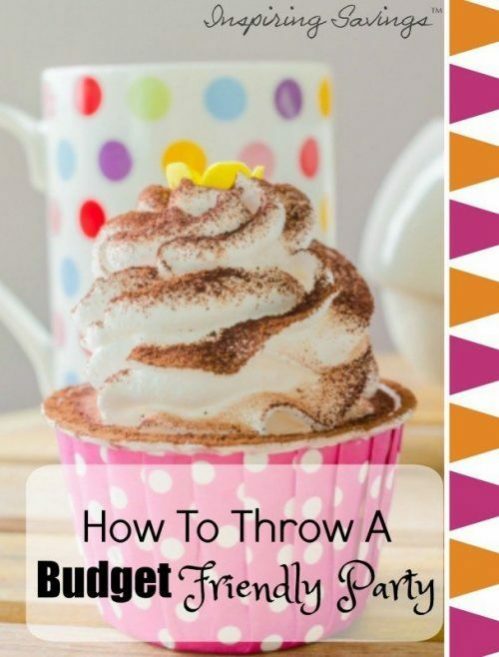 Click through to find out how to plan effectively and throw a budget friendly party that people won’t know didn’t cost a fortune to host! These 10 frugal tips will help you save money and give you ideas on how to cut costs. No matter the season summer, winter or fall there is always a reason to celebrate. Hosting a party can easily become expensive, especially if you’re not paying close attention while you shop and prepare. Throwing a Budget Friendly Party is easier than you think. Good planning and organizing ahead of time will help set the mood and the cost for your summertime event. First and foremost, it is important to set up a plan. Direct your planning based on your set budget and faithfully stick to it. Don’t forget to include your food ideas, place and theme of your party. Once this BIG step is accomplished everything else will fall into place. Let’s get started on a few of my favorite ways to help you stay on budget for that special party. This happens to be my favorite. I enjoy baking and decorating cakes, but not all of us do. Making your own cake or dessert, instead of buying one will save you a significant amount of money. For DIY tips, tricks & ideas visit BettyCrocker.com, Disney Family or Kraft.com. They have some great ideas for simple and easy party desserts. Pictured above is my very own Mary Poppins Spoonful of Sugar Birthday Party Cake Pops recipe. Such a fun and creative way to serve cake pops. Buying store brand food items instead of brand names will help cut down the cost of those needed items. Put the chips, dips, candies, etc. in serving bowls and no one will know the difference. REALLY, It is true no one will notice the difference. Discounts on party food and supplies come in different ways. If you follow my blog you already know that I am a faithful user of coupons. Search out those deals and stack them with coupons, increasing your savings. Purchase non-perishable items ahead of time by using coupons will help save lots of money. 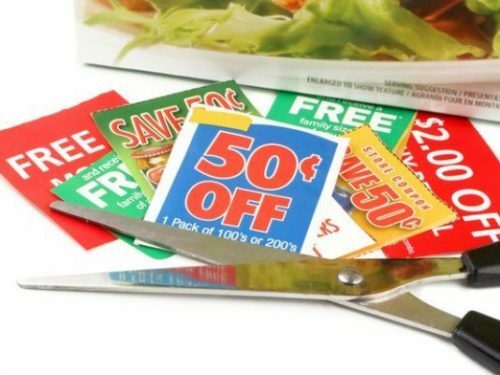 You can check out our coupon database to search for items you need that may have corresponding coupons. The cost of purchasing food or having food catered is crazy expensive. Start slow and make food over the week before your party. You can even freeze main dishes, such as a 3 bean casserole, and defrost the day before. For some really YUMMY food ideas and recipes visit Kraftrecipes.com, TasteofHome.com or AllRecipes.com. Let your computer work for you. Party invitations that are super cute do not need to be expensive or store bought for that matter. With a little time and effort can print your own designs. It is amazing to see how many FREE party invitation downloads for printing are available. Here are a few of my favorite sites; HGTV.com, Catchmyparty.com, BNute.com, DisneyFamily.com, or LivingLocurto.com. Create e-invites. They are simple, easy, and inexpensive. They are sent by e-mail. Also, if you are a Facebook user think “create an event” and invite friends and family who use Facebook. The downside to Facebook is you can only invite those who are currently on Facebook (Hard to believe that not everyone is using it by now). On the plus side, you can communicate with your guests through your created event. Add some lighting to your party by restringing your packed away Christmas lights or use mason jars filled with tea light candles. Search through your sheets and use them as pretty table clothes or Upcycle old t-shirts into party streamers (cut into triangles and tie together). There are so many creative ideas to use the items we already have in your home. Just open up those closets and think of the possibilities. You can find tons of items at your local dollar store that are perfect for summer entertaining. You can pick up paper plates, plastic cups, utensils, brightly colored table clothes, and napkins. Plus, you can find things like bubbles, bouncing balls or coloring books to keep your younger guests occupied and happy. Stay away from specialty party supply stores (unless you are looking for something specific), you will definitely pay more. Just don’t settle on items because they may be on sale. Check other stores out first. You may even want to consider shopping on the internet for party supplies. I have a few websites I check out frequently; Oriental Trading Company or Amazon. Laughing, communicating and spending quality time with one another is priceless as well as FREE!! So enjoy your time together. 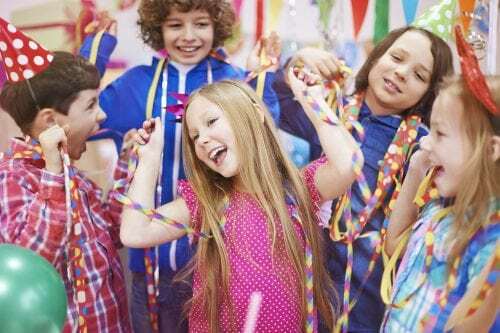 Looking for some more creative birthday party ideas, hope on over to our Pinterest board that specializes in unique ways to throw a party. Have a Happy Budget Friendly Party!! Edible Play Dough – Easy, FUN & Yummy!